Entrepreneurs sleep, but entrepreneurship never. Any entrepreneur may need the space to work late at night. So give 24-hour access to the office with the ability to buzz in guests after hours. You never know when someone is in such a situation that they need a guest room to spend a night. I am not saying you need to convert it into a hotel, but you still need a spare room to be always prepared. Invite entrepreneurs and other professionals. Let your users suggest who you should invite. It markets the co-working space. Also, divide the space into zones to create different vibes. Event programming is a programming paradigm in which the flow of programming is determined by the events. Not just technically, you should do this to make the space environment better too. Marketing is the blood of the business. So, make sure you do everything to market your brand. Many people use the co-working space to shoot professional videos. It will market your space. However, don't stuff the whole office with your logo. One at the entrance and some on the walls are enough for the marketing purpose. Graffiti is a sign of a young creative mind. Having one on some walls of your co-working space will help people think creatively. You should also leave some blank white walls as some people just like to stare at the plane wall to think differently. Professionals are not just colleges, they are friends too. And I am sure you don't want some friends to disturb everyone in the space. So it is better to have a separate area where groups of people can chat with each other. The space can have light music in the background or white noise for people to stay focused. You can divide the area with different background noise for different kind of people. Do not forget to make the space soundproof. Some people may need to be alone to focus for some time. It will be great if you have a corner room with bright lighting where anyone can spend some time. Co-working spaces are much more important for freelancers than other business entrepreneurs. So, you need to provide some good service to freelancers too. A personal dorm room where they can work peacefully will make the freelancers happy. As the entrepreneurs and freelancers will not be able to go home for a break or go out somewhere, due to lack of time, they will need food at the space itself. You need to provide good quality of food to them with a prepaid card and credit payment plan. Junk food may not be healthy, but they are great when you are in hurry but need to eat something. Also, the snack bar will make it even faster for them to have a little treat while working. Gaming is life for almost all the tech entrepreneur. Many people play video games to be stress-free. So, you have to have a gaming-ready work-station with a good LAN connection. As we previously told that you need to have either white noise or light music in the background but it is not always good. Some people may need a space where they can peacefully talk on phone. So, it is important to have a dedicated place which will be noise free and where everyone will get a good connection. Youtube and podcasting are becoming very popular these days. Hence, you need to have a studio in your Co-Working space where people can record their audio and work on it. As I said, Youtube is becoming popular, there is a strong possibility that you can have some Youtubers coming to work on their projects. However, people don't record in old style these days. So, Youtubers will be looking for a green screen where they can record the video and then easily edit it. This one is the most important. Each and every person who will be coming into your space will need the internet every second he/she is in there. So, you need to have a super fast WiFi connection. No, No! We cannot forget it at any cost. You need to have at least one power socket after ever 1 feet distance. Coders consume more coffee cups while creating software than they write codes. So, you need to provide the caffeine into many forms. For instance, a machine should be capable of creating black coffee as well as normal milk coffee. Don't expect them to lost into their work so much that they will even feel hungry. You need to keep some free snacks so that people can have something whenever they feel very hungry. People may bring their own food and want to warm it up. So, a microwave will be more than enough for them. You can also have some BBQ grill in there. Very bright light can be very annoying to some people. Having a warm light will be a great help to some eyes. Office ergonomic chairs and desks are totally different from normal desks and chairs. So you need to choose some good quality ergonomic chairs. Remember, a bad choice can affect someone's health. Might sound stupid, but there can be some situation when someone needs to remain at the office. So it is better to be always prepared. Projectors or TVs are important for corporate meetings. People who need them will probably from mid-sized corporations and so, they can be a big lead for you. You may have seen them in the school's smart classrooms. They are touch sensitive and can be used as a touchscreen for projectors. Not everyone will have a personal transport. Also, it not even good to have one unless it is electric. So, it will be great to have the office which will be near some bus station or easily findable by the cab drivers. Some people may not like the eateries of your cafeteria. Having the space office near some restaurants and cafes will be a great plus for entrepreneurs. A game room with toys like LEGO and remote controlled toys to play with will make your co-working space the coolest place to work. That Game room should also have board games, pool table, foosball, and video gaming consoles too. It will just make your space more fun for people who don't like gaming. Also, you can hold some events there like a speech by some entrepreneurs, etc. If you can provide mentorship to your customers, what would be better than that? Someday, someone will need more space than usual. You need to be ready. You may need them someday. So have some good contacts. Many of your users will ask you to receive postages on their behalf. So, you can simply place a mailbox to collect all the mails in one place. Some people don't believe so easily. So, you need to provide them some demo days to experience the co-working space. 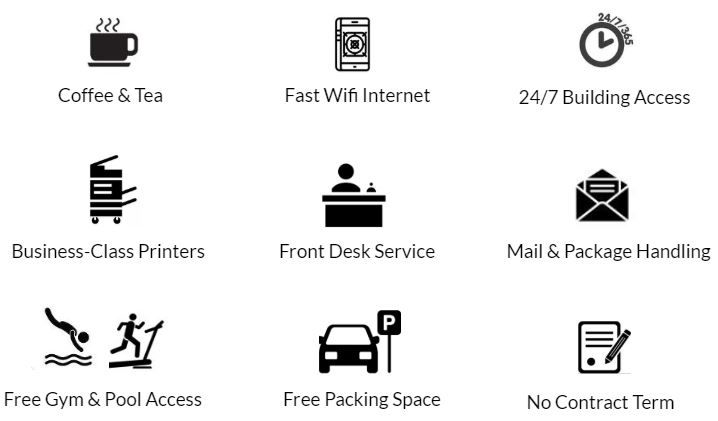 Provide an in-house printing shop in the coworking space retail block along with the food court. It will make you some bucks and serve your user as well. Just another cherry on the cake. But it will be useful and your users may appreciate it. Just make sure to provide it at a reasonable price. A day room for taking nap. What are a coworking space and its benefits?